Trent Alexander-Arnold intends to become a legend for club and country, as his career continues to go from strength to strength. Few youngsters in Europe have enjoyed a more meteoric rise in the last two seasons than Liverpool’s right-back. 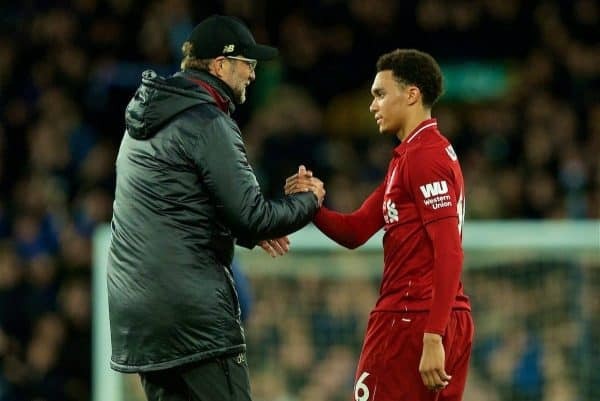 Having long been seen as one of the Reds’ most promising Academy prospects in years, the 20-year-old has kicked on and become a key man under Jurgen Klopp. His explosive pace and ever-improving end product have added an extra dimension to Liverpool’s attack and his absence is noticeable when he is unavailable. 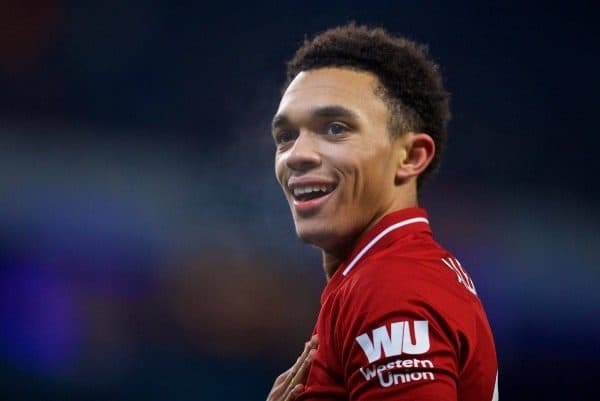 Putting too much pressure on Alexander-Arnold may be unhealthy, but barring serious injury, the sky is the limit for the West Derby-born youngster. Speaking to Gary Lineker in an entertaining interview for Goalhanger, Liverpool’s No. 66 said his aim is to reach legendary status one day, while also speaking about the level of drive that exists within him. “The dream is to win everything possible for club and country, to be a legend for Liverpool and England and hopefully one day be captain for them both. “When I was 16 I was a defensive midfielder—someone who liked to get on the ball and make things happen. “It’s up to the manager (if I go back into midfield) but I’m happy to play wherever he puts me. Right now he sees me as a full-back and I’m more than happy playing there. “It’s important to bring different dimensions to the position. When I was growing up Ashley Cole came in and showed that you don’t just have to be a defender. 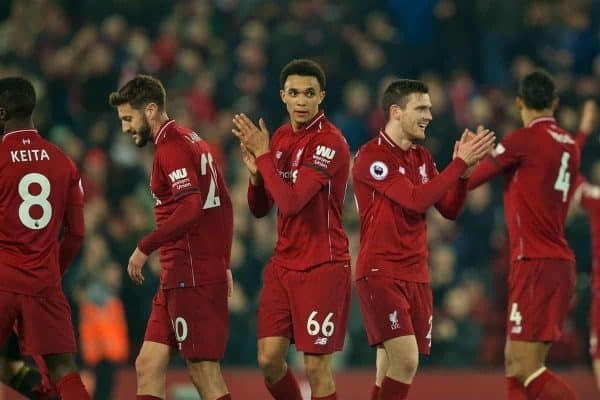 Alexander-Arnold also spoke the competition taking place between himself and Andy Robertson, and how it spurs them both on to reach their optimum level. “We both thrive off each other’s performances. We’ve got a competition between us this season to see who can get more goals and assists. He’s winning,” he added. “Things like that are healthy competition within a team and it’s something that’s really helped us because I’ve certainly bettered my numbers from last season already and he might have as well. Finally, the England international lauded Klopp’s impact during his time in the first team, especially his passion that rubs off on others. “He’s a fun-loving guy who’s eager to win and has that competitiveness within himself. “It is rare (that he gets angry) but most of the time we see it positively because he’s so passionate. Alexander-Arnold is off on England duty at present, where he is becoming an increasingly common presence under Gareth Southgate. With neither Kyle Walker or Kieran Trippier enjoying particularly impressive seasons, he could start at right-back for the upcoming Euro 2020 qualifiers against Czech Republic and Montenegro, on Friday and Monday respectively.